Salmon Flies are bumbling, clumsy, large stoneflies possessing an odd power of attraction. This attraction or almost gravitational pull entices anglers from all over the planet in pursuing the Salmon Fly Hatch. The only thing that outnumbers the anglers is the trout chasing them. 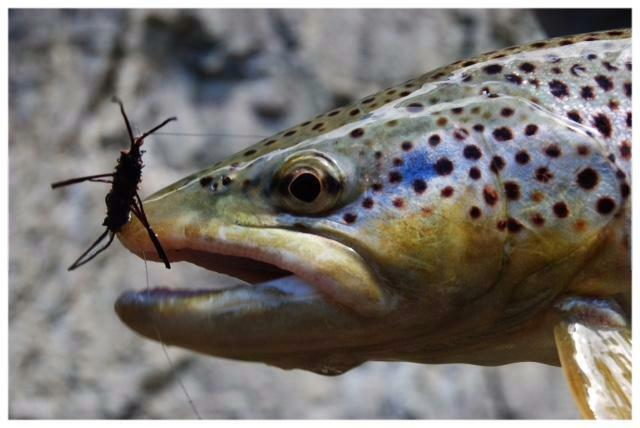 When the hatch is at its peak, trout lose their caution gorging on stoneflies nymphs as they tumble from the rocky bottoms in the middle of the river seeking a brief sanctuary on the river banks. They are coming. Once on the banks they shuck their shells, dry their wings offering a manic version of flight that defies both gravity and grace. Airborne salmon flies dip down on the water depositing eggs, collapsing from exhaustion or ennui and quickly become trout food. This is when they become the stuff anglers dreams are made. They are three weeks away. June is the month of stoneflies in Montana and both the Big Hole and Madison Rivers offer exceptional opportunities for fishermen. We have a little space left the middle of June and if you have itch to fish we are ready to put you at the right place at the right time. For some the sight of a sky full of prehistoric insects maybe a little horrific. But, if you fish and can still see well enough to put on a size 2 dry fly the skies are full of fishing rapture coming and going. While anglers are making pilgrimages to the Big Hole, the Beaverhead is quietly getting into shape for fishing. The releases from Clark Canyon Dam increase as the spring storms subside and trout seize their feeding lanes. Healthy hatches of PMD’s, caddis and yellow sallies overtake the river. The Beaverhead has a well deserved reputation for big fish and plenty of brown trout as it cruises from Clark Canyon Dam through Dillon, Montana before meandering into the Big Hole at Twin Bridges. This is a call to action for every angler that desires to go mano y mano with salmons flies on the Big Hole or the more nuanced dry fly fishing on Beaverhead. Give us the well intentioned angler and we will deliver trout streams, hatches and feeding fish. So, it is written so shall it be. 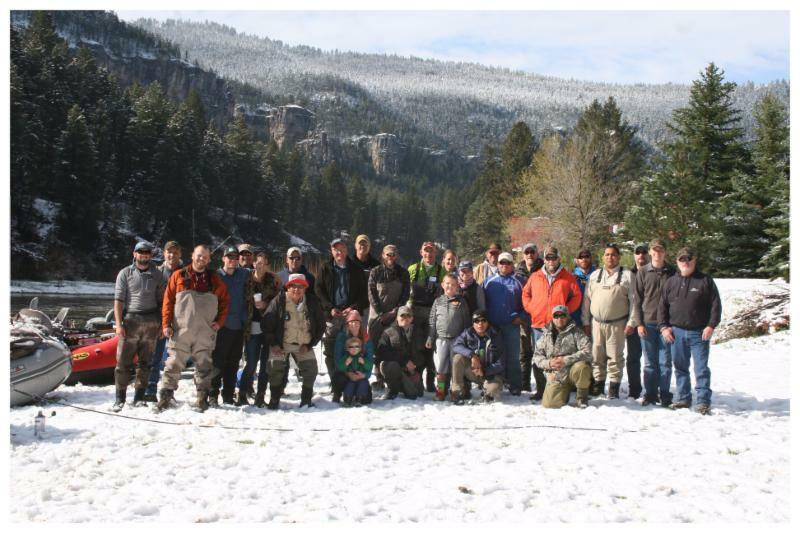 May 9 we launched on the Smith River with a group of Vets from Project Healing Waters Fly Fishing. We had a great collection of soldiers and sailors. This trip, some of the guides were Vets, some were clients, some had never fished and some had fished. We fished for five days in snow, sleet and sun. Welcome to Montana in the spring. Being with the men and women in uniform is easily the best thing we do. A sobering fact is we have over 400,000 service members coming back from the wars with some type of PTSD or TBI. As long as grass grows, the wind blows and the bank is at bay, Healing Waters Lodge and Lewis & Clark Expeditions will be around to offer support. Thank you to all of our customers that chip in make our trips possible. 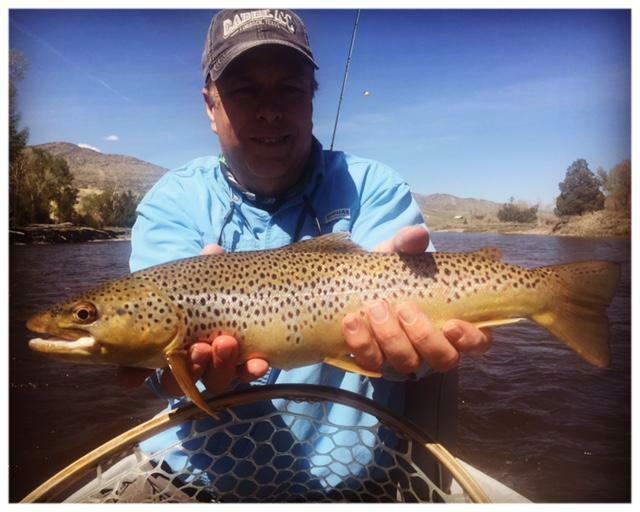 June 5 thru 9th we take another group from Project Healing Waters Fly Fishing, downstream. July 5 through July 10 we will have another group at the lodge. If you are interested in sponsoring a Vet for 2017, please give us a call. 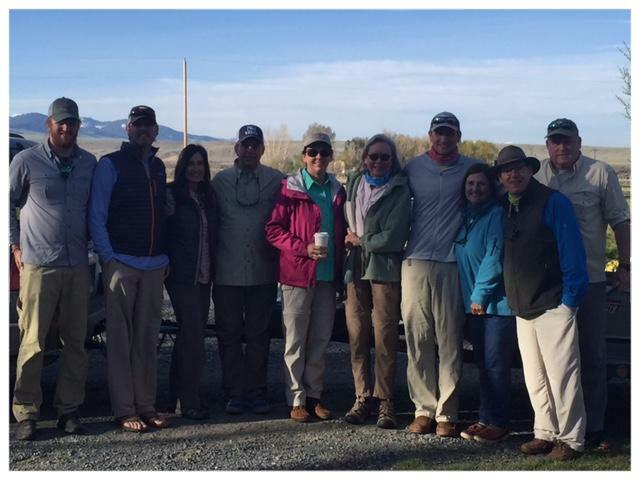 We had two wonderful groups of people that attended our “Fish Like A Guide But Live Like Client” schools, the middle of April and the first week of May. 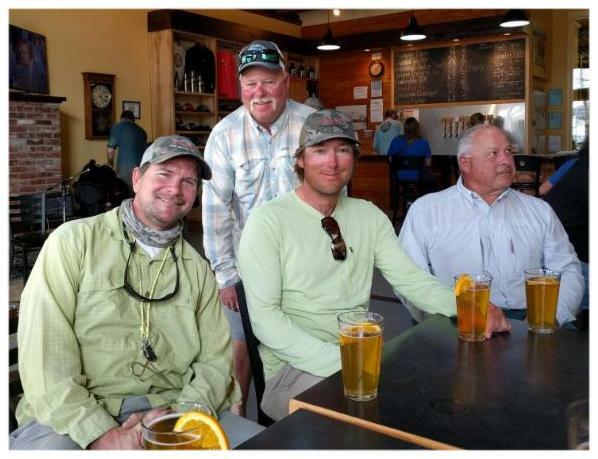 Our Professors of Piscatorial Pursuits; Butch Wicks, Bart Doig, TJ Migneault, Troy Buhr, Terry Throckmorton and Chuck Robbins were wonderful in conveying over a hundred years (maybe 200 years) of fishing knowledge, tactics and techniques. Our goal is to help everyone become a better fishermen. This was great fun for us and we look forward to having two more schools next spring. The tentative dates for 2017 are: April 16-21 and April 30-May 5. We embrace higher education. We are looking forward to great summer with good water conditions, fair weather and plenty of trout fishing opportunities. If there was ever a time to escape the news cycle in favor of a little peace, trout and happiness this is the year.